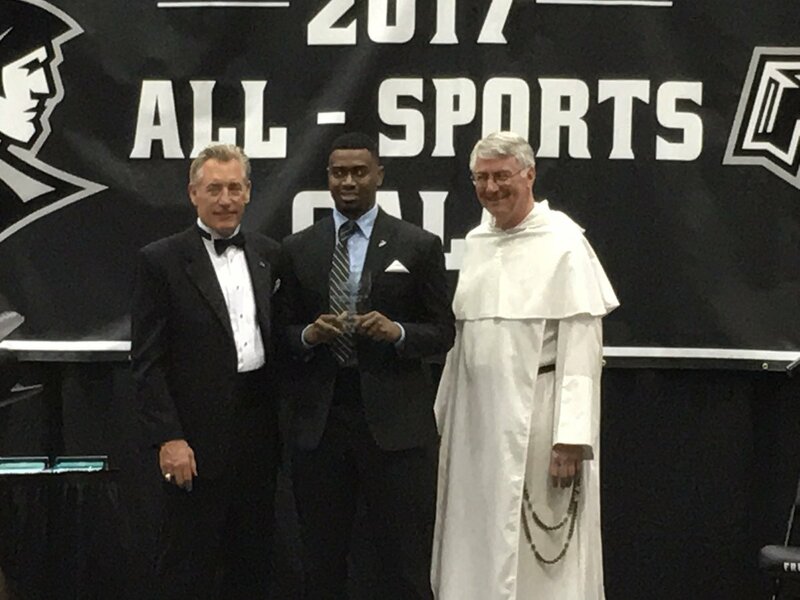 Providence College is hosting their All-Sports Gala tonight and PC Men’s Basketball player Kyron Cartwright had been awarded the Father Robert Morris Memorial Award for the 2016-2017 year. The award is given annually to a student-athlete who has had a profound impact impact on PC. Congrats to Kyron on being a great representative of Providence College both on and off the court!